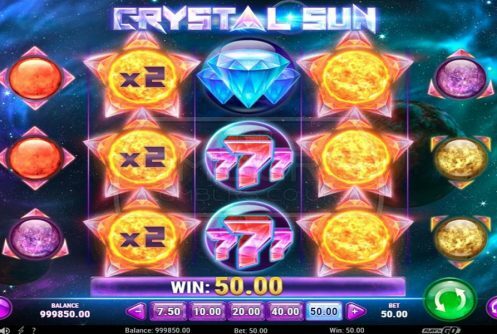 Crystal Sun is a pay-both-ways high variance video slot from Play N’ Go featuring 5 reels, 10 paylines and 3 rows. 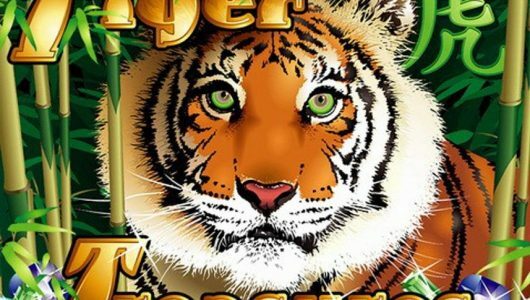 It offers online slots players a non-progressive jackpot of 4,000x your stake on one spin. 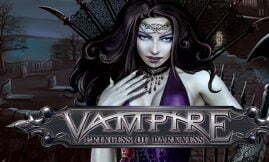 Before we continue with the review of the game, a bit of controversy surrounded it. The game’s original name was Starblast and because it sounded a lot like NetEnt’s Starburst, this industry big-wig fired a few shots over Play N’ Go’s bow notifying it about its ‘little discrepancy’. Long story short, Play N’ Go complied and changed the game’s name to Crystal Sun. 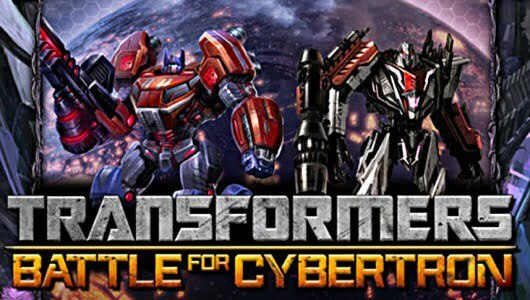 It looks like a copycat of NetEnt’s Starbust since it has a similar mechanic: Double Re-spins feature (no free spins), the same visual fidelity and a RTP that fluctuates between 96.6% to 94%. 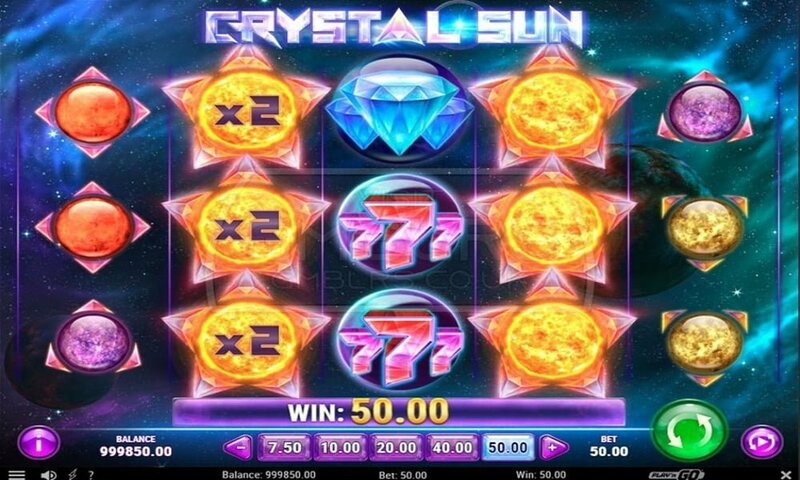 Players can play Crystal Sun slot machine from £0.10 to £100 per spin at our top-rated and fully licensed Mobile Casinos. Crystal Sun is a space themed slots with lots of space debris floating about, you’ll see planets and other familiar space matter. The main occupants across the reel set are 5 planets, diamonds, 7’s and star (wild). The symbol that’s the most lucrative is the diamond and when 5 of them are on the reels at the maximum bet, it pays 16x your line bet. 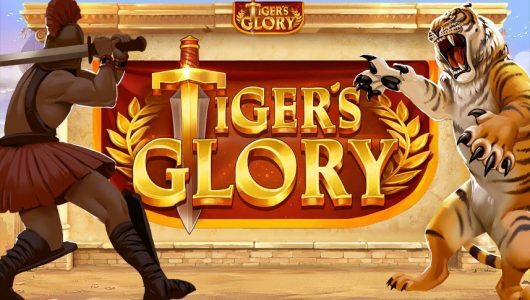 New players qualify for a deposit bonus which can be used to play Crystal Sun. 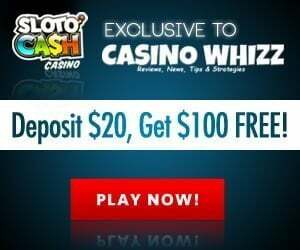 We give a detailed explanation to UK online casino patrons of the different bonuses as well as the comps associated with them, you can get the latest casino bonuses here. When the wild completes a winning combination it replaces adjacent symbols and it offers multiplier wins that range from 1x, 2x to 3x. The Re-spin feature is triggered in the main game when the wilds appear on the centre reel. They stick to the reels as expanded wilds offering a re-spin. What happens when another wild pitches? The new wild expands too which offers another re-spin, the only difference now is that you have 2 wilds that stick to the reels. However, if 3 wilds pop then not only will they stick to the reels like a tick to a dog, they offer multiplier wins to the tune of 9x that pays the top prize of 4,000x your stake. Play N’ Go must have had egg on its face when NetEnt caught its hand in its cookie jar. Be it as it may, we still prefer Play N’ Go’s version of this space themed game. 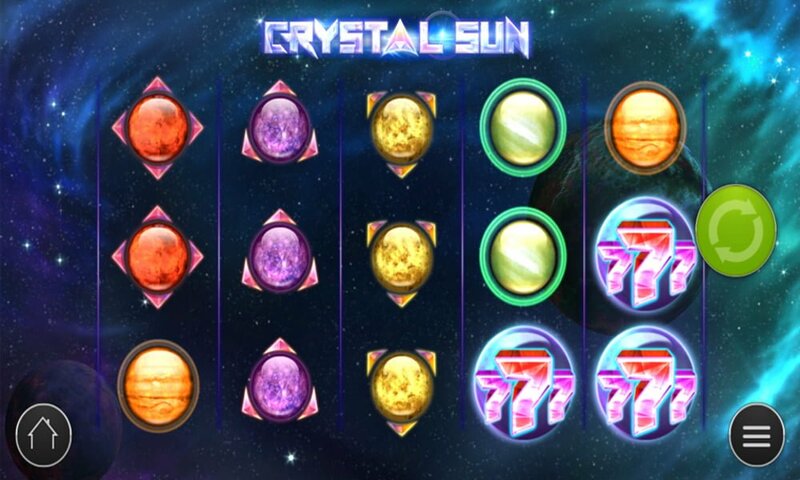 Crystal Sun provides bigger wins in its main game and re-spins, while the visuals of Starburst is slightly superior. Dare we recommend Crystal Sun after this little fiasco? Any how, players looking for a Play N’ Go game that’s more feisty than this one can try out Planet Fortune, another sci-fi themed slots with a retro look. Luckily it’s not a copy of any NetEnt game. How many bonus rounds does the 3D slots have? It has a Re-spins feature that is played when a wild appears on the third reel that sticks to the reels, awarding a re-spin. More wilds become expanded sticky wilds offering multiplier wins that can be as high as 9x.